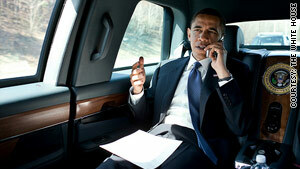 President Obama talks to a member of Congress on his way to a speech in Fairfax, Virginia, on Friday. Washington (CNN) -- The House is expected to vote Sunday on the health care bill passed by the Senate in December. Republicans have vowed to do everything they can to kill the bill. Chasing the votes: Democratic leaders continue to try to round up the 216 necessary votes to pass the bill. According to CNN's latest count, 30 Democrats plan to vote against the legislation. Thirty-eight Democratic "no" votes are needed to kill the bill. Twenty-nine House Democrats have told CNN they haven't yet decided how they will vote, and 15 have not responded to CNN's repeated inquiries. Multiple Democratic leadership sources told CNN that Democrats have more than 200 "yes" votes, though it was not clear Friday night how close Democrats were to securing the votes they need. Final plea: President Obama plans to address the House Democratic caucus on Saturday to make his final case for health care reform, according to four Democratic officials familiar with the plans. The pitch to lawmakers will be made on Capitol Hill, White House aides said. Obama planned to meet with and call members of Congress on Friday afternoon, as he has been doing throughout the week. Abortion talk: Rep. Bart Stupak, D-Michigan, said Friday he is in talks with House Speaker Nancy Pelosi to allow an up-or-down vote on his amendment tightening restrictions on a federal ban on funding abortions. A group of female representatives who support abortion rights left a meeting with Pelosi on the issue, with one saying Stupak's demand for a vote is a "nonstarter" and that as many as 50 Democrats could bolt from supporting the bill if Stupak's language, which was in the original House bill but left out of the Senate bill, passes. Stupak is, so far, a firm "no" on the bill. Avoiding Obama? : Texas Rep. Henry Cuellar, a Democrat who hasn't decided how to vote, is refusing to answer a telephone call from the White House. "If I have to talk to him, I'll talk to him," Cuellar said begrudgingly of a phone call his office received from the White House on Wednesday. But Cuellar told reporters in the Capitol he has so far refused to return the call because he first wants to decide how he'll vote on the health care package. He also acknowledged that it was "White House staff" that placed the call, but he presumes the president wanted to speak to him. "At the end of the day, when we take a vote, he's not going to be out there supporting me and running my elections," Cuellar said. "It's going to be up to me to run my election. And it's up to me to decide on my own that this is in the best interests of my district." Cuellar voted in favor of the original House version of health care reform in November. House leaders weigh in: House Speaker Nancy Pelosi said that when her members go to vote, they will have "all of the assurance they need" that the reconciliation package will be passed in the Senate. "When we bring the bill to the floor, we will have a significant victory for the American people," Pelosi said. House Minority Leader John Boehner, however, said the vote is "pretty tight." Boehner said the revised health care bill is worse than the original legislation. "The American people are going to hear about every pay off, every kickback and every sweetheart deal that comes out," he said. Boehner reiterated his pledge to do everything he can to prevent the bill from becoming law. "Republicans can't beat this bill, but the American people can," he said. On Friday, Boehner sent a letter to Pelosi asking that the final health care votes be recorded by "call of the roll," in which every lawmaker must publicly announce his or her vote on the floor. "This weekend's votes will be among the most consequential votes we will ever cast as members of Congress," Boehner said in the letter. "As such, it is my belief that every member should stand before the American people and announce his or her vote as the final decision is made." Obama's push: President Obama took his health care message to George Mason University on Friday, telling the crowd, "We are going to do something historic this weekend." The president framed the vote as a choice between a victory for the insurers or "victory for the American people." Boccieri decides: After wrestling publicly with his vote, Rep. John Boccieri of Ohio announced Friday he'll be voting "yes" on the health care bill. Boccieri said he was encouraged by the Congressional Budget Office numbers. Earlier, Boccieri told CNN he was faced with "voting on an imperfect bill or doing nothing." Confidence from House Majority Whip: Rep. James Clyburn, D-South Carolina, said Friday he "feels very sure" that the House will vote sometime after 2 p.m. on Sunday "and the bill will pass." Immigration reform plays a role: Rep. Luis Gutierrez, D-Illinois, agreed to support the House health care bill after meeting with Obama and discussing immigration reform. "After extensive discussions with the president, I believe we have a health care bill I can vote 'yes' for, and I believe we have a commitment to move forward on a comprehensive immigration reform package as soon as possible," Gutierrez said in a statement Thursday. Voting no: Michigan Democrat Bart Stupak, who has opposed the Senate plan because he says it isn't tough enough on restricting federal funding for abortion, said Thursday he'll vote against the compromise plan. "As of today am still voting no," said Stupak, who sponsored an amendment to further restrict ways abortions can be funded . "I'm standing with the principle of protecting the sanctity of life." What are Obama's Sunday plans? Not much, White House insiders say. Even if the House passes the act Sunday, Obama is not planning a big public signing ceremony because the Senate will still have to pass the reconciliation fixes in the legislation, top aides say. Instead the president is likely to deliver relatively low-key public remarks congratulating the House if it passes the legislation that day. On Sunday, Obama also will sign the portion of the legislation that deals with the original Senate bill if that plan is confirmed by the Senate parliamentarian after all of this weekend's final machinations in the House. Obama delays trip, again: Gibbs announced Thursday that Obama is postponing a trip to Indonesia and Australia until June. "The president greatly regrets the delay. Our international alliances are critical to America's security and economic progress. But passage of health insurance reform is of paramount importance, and the president is determined to see this battle through," Gibbs said. Indonesian presidential spokesman Dino Patti Djalal said, "To be honest, the protocol, logistical preparation is quite ripe for the visit but then there's a good side. The good side is as President Yudhoyono wishes, the visit can take place when the president's mind is not focused on Washington but on Indonesia-American relations." Last week, Obama pushed back his departure date by three days. He was scheduled to leave on Sunday. "This is historical. I'm sure he wants to be here for the history," Pelosi said after a news conference Thursday. Legislation revealed: Democratic leaders unveiled the text of the reconciliation act for health care on Thursday. They had earlier promised to put the act online 72 hours before a vote, meaning the House will take up the act on Sunday at the earliest. The price tag: The compromise health care bill drafted by top Democrats will cost $940 billion over the next 10 years, according to a preliminary analysis released Thursday by the nonpartisan Congressional Budget Office. The bill cuts the deficit by $138 billion during that period, the CBO report said. It would further reduce the deficit by another $1.2 trillion in the following decade, two House Democratic sources said. Republicans were critical of what they characterized as Democrats "leaking" the "unsubstantiated" preliminary estimate. GOP leaders said the new CBO estimates had not changed their opinion of the bill, which they vehemently oppose. End run? 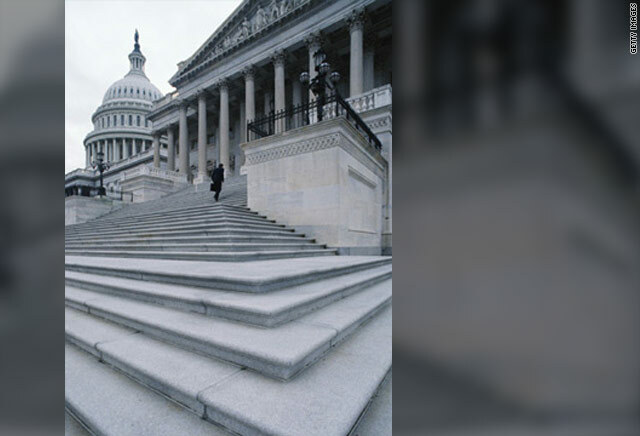 : Democrats have floated the idea of voting on a resolution that would simply "deem" the bill passed, to allow unhappy House members to avoid a direct vote on the Senate bill. The House then would proceed to a separate vote on the more popular changes to the Senate bill. Boehner said Thursday that Democrats have tried "every kind of scheme known to man to try to get it through the Congress without a vote." The minority party introduced a resolution that would force an up-or-down vote on the Senate bill and would call for at least an hour of debate before the vote. Democrats avoided an effort to bring it to the floor with a procedural vote to move on to other business. What happens next? : If Democrats keep their pledge of posting the bill 72 hours before a vote, the House would take up the Senate bill Sunday at the earliest. It would immediately follow up with another vote on a package of changes designed in part to make the overall legislation more acceptable to House Democrats. The Senate would vote to approve those changes next week by a simple majority vote, and the original bill would go directly to Obama to sign into law. CNN's Arwa Damon, Dana Bash, Jill Dougherty, Evan Glass, Ed Henry, John Helton, Kristi Keck, Alan Silverleib, Deirdre Walsh and Robert Yoon contributed to this report.